Seaplane adventure is a famous Victoria tourist attraction. This should be in your list of things to do in Victoria. We love vacationing. This kind of thrilling memories is a great way to relax our brain and create something to chat with family and friends forever. There is a way you can add a very popular tourist attraction – “Seaplane adventure” to Victoria BC vacation and save time and money. This is by taking Seaplane directly to downtown Victoria from Vancouver or Seattle to start your Victoria adventure. Our friends and family have taken this seaplane route on their way to Victoria. They have thanked us for this money saving tip. When coming home to Victoria from Vancouver we have taken the ferry route many times. It's a fun trip but takes up a lot of our time. 2 to 3 hours of travel time between cities to ferry terminals. Add another 1 1/2 hours of the ferry ride ( total around 4 to 5 hours)… Day is over and not much room for anything. However, you can keep the ferry option opened for your return trip too. We used to consider flying to YYJ is faster. Still Airport ( YYJ ) to downtown Victoria is a 30 minute drive. Then we discovered this nice and easy Harbour Air seaplane flight directly to Downtown. 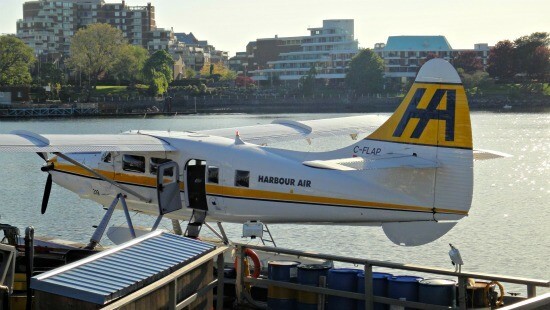 Harbour Air seaplanes can fly us from downtown Vancouver Coal Harbour or Vancouver Airport (YVR) Seaplane terminal to Downtown Victoria within 30 minutes. Remember if you are flying to/from Vancouver International Airport (YVR), there is a complimentary shuttle that takes you to the seaplane terminal … Easy transfer. 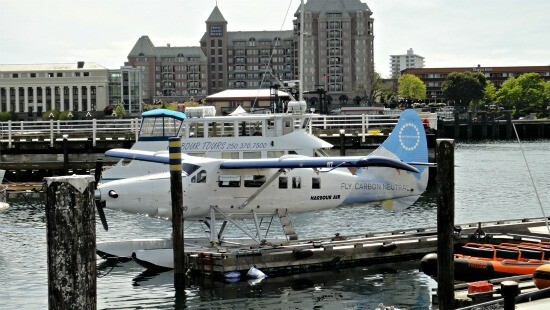 The downtown Seaplane terminal is in the heart of Victoria City. Any downtown hotel is just within 5 to 10 minutes of taxi drive. The Harbour Air's friendly staff gives excellent service to their customers. Terminals are not just boring places ... You get to see Seaplanes landings and take offs, complimentary snacks, newspapers and internet access. What's the Best Seat? ... If You Have a Chance to Get It! Our cousin flew from Vancouver to Victoria downtown. He took permission to sit next to the pilot. He says it is the best seat in the airplane. Offered to you as first-come-first-served basis. So remember to ask before you board the plane. If no one has requested you are lucky and its your seat. There are cheap tickets available. We buy these tickets online a day or two before taking flight. These are type of last minute deals called SuperSaver Webfares, available for online booking only. Children get a discount when they are accompanied by an adult … You need to book over the phone to get discounts for children. Our daughter gets a 50% off the regular price. She is still under 11 years old. Kids under 2 years fly free. My small tip here … First I call to make sure plenty of seats are available for my flight. Next I buy Supersaver deal for two of us Online. Then I book my daughter's ticket over the phone 50% off ( be open and tell them this is what you are doing because it saves money – They may even give you a better option). We see seaplane always have different luggage allowance for domestic and International airlines. Last time requirements were 50 lbs ( 23Kg) per person when flying out of Vancouver International Airport (YVR) to Victoria downtown. A lower limit 25lb ( 11.5Kg) when flying out of Vancouver downtown to Victoria downtown. To be on the safe side please check with them before buying your tickets. Let's say your plans are different from my suggestions and you still need to experience a Seaplane tour. There are some great tours offered from Vancouver and Victoria. These are are so tempting. We like trying one of these tours. If we do I will be posting here some pictures for sure. Seaplane tour to the world famous Butchart Garden in Victoria is a great way to spend a full day in Victoria. Charter tours are for you to use your imagination. Wherever there is water to land a seaplane it could be your next seaplane trip. They established service in 1982 with 2 small seaplanes. 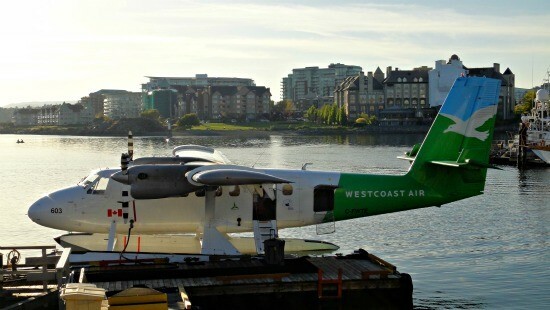 2010 they purchased West coast air another well known seaplane company. Today it is the largest all seaplane company in the world. In 2007 the company became the first airline in North America to use Carbon neutral concept. They do this through a British Columbia based organization “Offsetters” (an organization that fund programs to take greenhouse gas off of our air). There are people who fly Harbour Air just because the fact they are carbon neutral. In 2009 Harbour Air was included in Canada's 50 best managed companies. We see Harbour Air still holding West Coast Air logo. When we were waiting to pick up some friends in Victoria we saw some colorful seaplanes landing ... They are all one company.